Naturopathy, hydrotherapy, detoxification treatment center. We make your lives better by taking care of your health through natural means. We help people become their own doctors by being disciplined about diet. Dr. Sumer Chand Gupta is a renowned naturopath all over India. 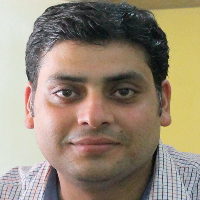 He is a Director of Ojas Naturopathy and Yoga Center. He has served as a CMO for 39 years in Ojas Naturopathy and Yoga Center, Ashram Patti Kalyana near Samalkha in Haryana (a very famous naturopathy center of India). He holds experience of almost 45 years in this field. He has been awarded by various prestigious institutions for his work. He is awarded “Leap Award” by WHO (WORLD HEALTH ORGANIZATION), “best Naturopath” by Hasya Yoga. He is a man who works on Gandhi principles and known as Gandhi wadi by people. He only wears Khadi and follows naturopathy and Yoga. 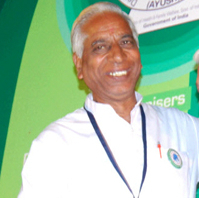 He is a Patron of “International Naturopathy Organization” and associated with many other bodies. He has devoted his whole life for service of mankind. Dr. Yogesh is a Sr. Medical Officer with more than 8 years of work experience. Also, a research scholar in the field of Yoga and Naturopathy and currently persuing research in the field of Diabetes and Osteoporosis. He completed 7 years of education in Yoga and Naturopathy and hold Advance diploma and Masters degree in the field. He takes care of all patients in the centre and handles OPD of almost 50-60 patients every day. He has handled thousands of patients of chronic diseases and lifestyle disease like Diabetes, Sleep Apnea, Psoriasis, Asthma, IBS, GERD, High BP, Diabetes, PCOD, Menstrual problems, Migraine etc. Treatments are being done with hydrotherapy, mud therapy, massages, Mud pits, wetsheet pack, Shatkarmas, Panchakrmas, Yoga, cleaning/detox processes and diet and no medicine. 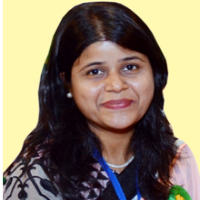 Dr. Shallu Gupta is a Sr. Medical Officer with more than 10 years of work experience. She has done masters in Naturopathy and Yoga. She takes care of all ladies patients in the center and handles OPD of almost 50-60 patients everyday. She has handled thousands of patients of chronic diseases like SLE, Infertlity, IBS, Glucomaetc to patients of High BP, Diabetes, PCOD, Menstrual problems, Migraine etc. She has been very successful in treating patients with only hydrotherapy, mud therapy, massages, Mud pits, wetsheet pack, cleaning/detox processes and diet and no medicine. Her fundamental is to teach people that they are their own doctors and 85% diseases can be treated by us at our own. She wants people to avoid allopathic medicines for acute diseases. She has been guest speaker in various national and international seminars. Received many awards as a token of appreciation as a youngest naturopath. She has been the celebrity guest in multiple episodes of TV show ”NareetvaDarshan”. She has also taken part in various programs of Anokhi Club by “Hindustan Times”. She keeps delievering various lectures in public parks for public awareness. She was a Software Engineer by profession and left her profession to serve the human kind and feels immense satisfaction here. She had successful workshops on health in various corporates like Reliance, ZS Technologies, EspireInfolabs etc. She is the General Secretary of West Delhi wing of International Naturopathy Organization.